Melvyn Bragg and guests discuss the origins of the theological split between Sunni and Shi'ite Muslims. 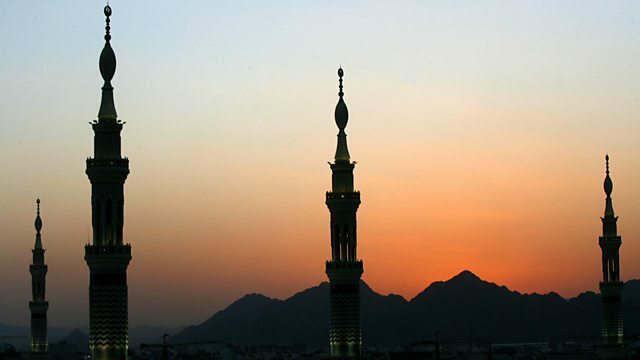 Melvyn Bragg and guests Amira Bennison, Robert Gleave and Hugh Kennedy discuss the split between the Sunni and the Shia. This schism came to dominate early Islam, and yet it did not spring at first from a deep theological disagreement, but rather from a dispute about who should succeed the Prophet Muhammad, and on what grounds. The supporters of the Prophet's cousin Ali argued for the hereditary principle; their opponents championed systems of selection. Ali's followers were to become the Shia; the supporters of selection were to become Sunnis.It is a story that takes us from Medina to Syria and on into Iraq, that takes in complex family loyalties, civil war and the killing at Karbala of the Prophet's grandson. Husayn has been commemorated as a martyr by the Shia ever since, and his death helped to formalise the divide as first a political and then a profoundly theological separation.Amira Bennison is Senior Lecturer in Middle Eastern and Islamic Studies at the University of Cambridge; Robert Gleave is Professor of Arabic Studies at the University of Exeter; Hugh Kennedy is Professor of Arabic in the School of Oriental and African Studies at the University of London.